"Let's performance!" 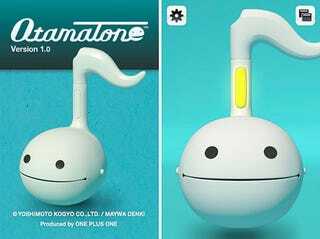 promises the whacky Japanese video for the Otamatone iPhone app. The Otamatone, if you remember, was the sperm (or tadpole)-looking musical instrument that you play by pulling its lips down or spreading its cheeks. Sound dirty, yes.